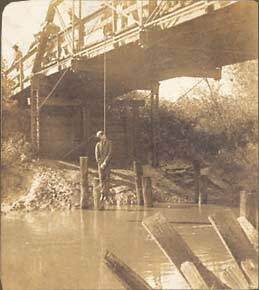 Lynching of bound white male, his body hung from a bridge. Circa 1910, location unknown. Gelatin silver print. Real photo postcard. 3"H x 5H"